Bernard Ortiz, a 46-year-old Latino male, died Saturday, Dec. 1, after being shot in El Monte, according to Los Angeles County coroner's records. Stephen Tran, a 45-year-old Asian male, died Sunday, Sept. 16, after being stabbed in El Monte, according to Los Angeles County coroner's records. Ana Maria Nunez, a 37-year-old Latina, was fatally shot Wednesday, Aug. 29, in the 2700 block of Leafdale Avenue in El Monte, according to Los Angeles County coroner’s records. Nunez, who was about six months pregnant, was alone at her home on Leafdale Avenue the evening she was shot, said Los Angeles County Sheriff’s Lt. Joe Mendoza. A family member found Nunez inside her home with multiple gunshot wounds about 8:55 p.m., Mendoza said. Nunez was taken to a nearby hospital where she and her fetus were pronounced dead at 9:37 p.m., according to coroner’s records. Her cause of death was listed as gunshot wounds to the torso. Authorities are searching for Nunez’s estranged husband, Octavio Curiel-Martinez, 36, who was seen leaving the scene and is believed to be armed with a handgun, The Times reported. Jesus Nunez, an unborn 6-month-old fetus, was pronounced dead on Thursday, Aug. 29, after his mother was fatally shot in the 2700 block of Leafdale Avenue in El Monte, according to Los Angeles County coroner’s records. 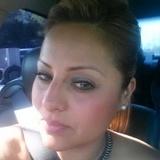 Jesus’ mother, Ana Maria Nunez, 37, was alone at her home on Leafdale Avenue the evening she was shot, according to Los Angeles County sheriff’s Lt. Joe Mendoza. A family member found Nunez inside her home with multiple gunshot wounds about 8:55 p.m., Mendoza said. She was taken to a nearby hospital where she and Jesus were pronounced dead at 9:37 p.m., according to coroner’s records. Nunez’s cause of death was listed as gunshot wounds to the torso. Jesus’ cause of death was listed as intra-uterine fetal demise due to maternal death. Fabian Garcia Barajas Jr., a 20-year-old Latino, died Tuesday, April 3, after he was shot on Gilman Road just north of Valley Boulevard in El Monte, according to Los Angeles County sheriff’s homicide investigators. Barajas worked as a machine operator for Niron Inc. at Earlgate Street and Lemon Avenue in Walnut, said Det. Steve Blagg. His shift ended at midnight, Blagg said, and Barajas normally went straight home to Pomona, where he lived with his mother. 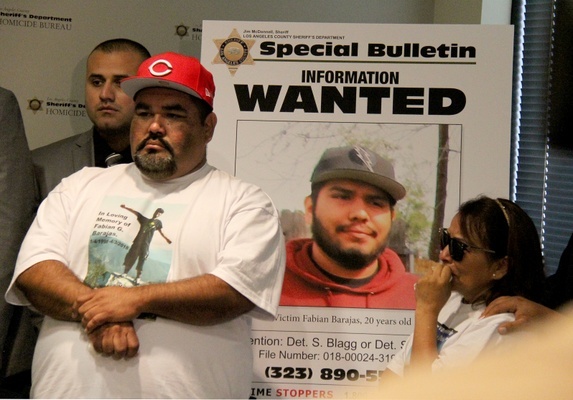 However, for reasons neither his family nor investigators know, Barajas drove east instead of west when his shift ended April 3, to an industrial area in El Monte, said Blagg. El Monte police were called to the area about 12:25 a.m., after Barajas’ white Infiniti G37 sedan crashed through a security gate outside a warehouse at 12368 Valley Blvd. Lorenzo Mario Bustamante-Nieto, a 43-year-old Latino male, died Wednesday, Feb. 14, after sustaining blunt force trauma in El Monte, according to Los Angeles County coroner's records. Eddie Cardenas, a 34-year-old Latino, was shot and killed Monday, Oct. 23, in the 4100 block of Shirley Avenue in El Monte, according to Los Angeles County coroner’s records. El Monte police officers were called about 7 a.m. to the 15-by-8-foot travel trailer where Cardenas lived behind his mother’s house, said Los Angeles County Sheriff’s Sgt. Marcelo Quintero. Officers found Cardenas in a semi-fetal position just outside the door, with one leg extended over the threshold, Quintero said. “It looks like he was shot either coming out the door or at the door, and fell where he was,” Quintero said. Cardenas was pronounced dead at the scene at 7:40 a.m., according to coroner’s records. He had been shot in the head and back. Esteban Bustamante, a 20-year-old Latino, was shot and killed Tuesday June 20, at Garvey Avenue and Durfee Avenue in El Monte, according to Los Angeles County coroner’s records. Bustamante was riding in the backseat of a car with a juvenile male friend beside him and two female friends in the front seats, said Los Angeles County Sheriff’s Lt. Rodney Moore. The car stopped at a red light about 11 p.m., facing north on Durfee Avenue, at Garvey Avenue, Moore said, and a gray compact sedan pulled up alongside it. Bustamante got into an argument with a man in the other car, Moore said. “We don’t know what the conversation was, but it was a gang affiliation type conversation, so we are considering it a gang-related incident,” he said. 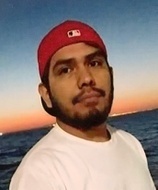 Alejandro Rosales Miranda, a 35-year-old Latino male, died Wednesday, April 26, after being shot in El Monte, according to Los Angeles County coroner's records. John Sanchez Sanchez Garcia, a 46-year-old Latino male, died Tuesday, April 18, after being shot in El Monte, according to Los Angeles County coroner's records. Alejandro Rojas, a 22-year-old Latino, died Sunday, Feb. 19, after he was stabbed in the 4200 block of Peck Road in El Monte, according to Los Angeles County coroner’s records. Rojas was walking to a store with a relative about 11:40 a.m., when a car pulled alongside them and a man got out, said Los Angeles County Sheriff’s Lt. Steve Jauch. The man exchanged words with the pair, and the three began to fight, Jauch said. The assailant pulled out a knife and stabbed Rojas in the chest. Rojas and his relative ran to a nearby residence, where Rojas collapsed. He was taken to a hospital and was pronounced dead at 12:40 p.m., according to coroner’s records. Rojas' relative was not injured, Jauch said. The attacker, described only as Latino, got back into his car and drove away northbound. Jose Luis Sanchez, a 30-year-old Latino, died on Friday, Dec. 23, after he was shot by police officers at the intersection of Esto Avenue and Fieldcrest Street in El Monte, according to Los Angeles County authorities. Sanchez, who lived in San Bernardino, was driving a mid-sized SUV about 9:35 p.m. when El Monte police officers tried to stop him for a drunken driving investigation near the intersection of Valley Boulevard and Tyler Avenue, said Los Angeles County Sheriff’s Lt. Steve Jauch. When Sanchez refused to stop, officers gave chase, pursuing him for nearly two miles, to Esto Avenue and Fieldcrest Street, Jauch said. Officers laid down spiked strips to try to stop Sanchez, but "they had no effect," Jauch said. During the pursuit, Sanchez’s SUV collided with another vehicle at Arden Drive and Valley Boulevard, Jauch said. Omar Yousaf Latif, a 25-year-old Latino also known as Omar Yousaf Solano, was shot and killed on Tuesday, Nov. 22, in the 9800 block of Giovane Street in El Monte, according to Los Angeles County coroner's records. Latif was near his home, walking in the street toward his parked car, when someone ran up to him and began shooting about 8:53 a.m., said Los Angeles County Sheriff's Sgt. Marcelo Quintero. Latif was pronounced dead at the scene at 9:05 a.m., according to coroner's records. A fundraising page has been started to help Latif's family pay for his burial. The site describes Latif as a husband and new father, with a 2-month-old daughter. He is one of four siblings and lived in El Monte, according to the site.